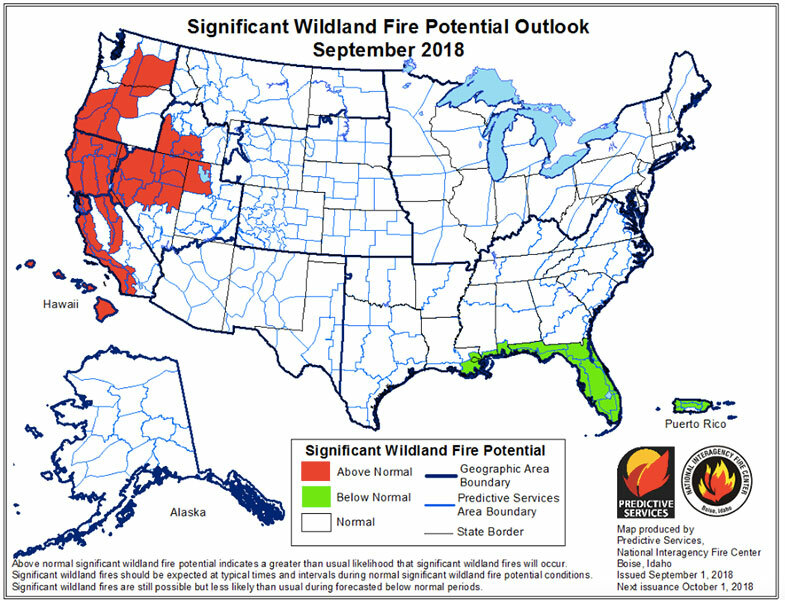 There is good news in the September/October/November National Wildland Fire Outlook that resonates with what we have seen in the North Fork. They accurately captured the season-slowing event we had on August 27 where we had widespread precip of 0.20” to 0.50” and snow on the mountains. As you all saw, that coupled with seasonal trend to shorter burning period, cooler temperatures especially overnight, and higher relative humidity recovery overnight has significantly changed fire behavior, even though we saw premature curing of grasses and shrubs (the early color change was based more on drought than photo period in my mind). And don’t forget the NFLA Business Meeting this Sunday. A talk by Diane Boyd begins at 7PM and the meeting begins at 8PM. See you there!